PADOVA DOWNTOWN. 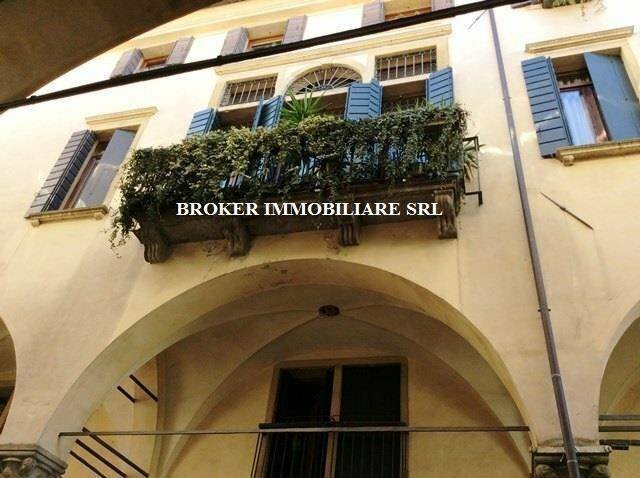 Right in the center of town, in the Ghetto area, on the first noble floor of Palazzo Cattaneo Strozzi dated XVI Century, glamorous apartment of about 330 sqm. Access to the palace is through the eighteenth-century loggia, ceilings with exposed beams, ancient columns and marble floors. Access to the apartment is through the lift or the spectacular marble staircase. This is a typical venetian house with its regular layout: a large living room that leads to the different rooms on the two side wings.The entrance is directly in the spectacular living room with two balconies on the opposite sides overlooking the street below and the lovely courtyard, ceilings with exposed beams extraordinarily restored, original Venetian terrazzo flooring, a wonderful fireplace decorates the conversation area. The living room leads to a sitting room with fireplace, decorated marble flooring throughout the hallway that opens to the master area with a large bedroom, bathroom and wardrobe, and to the kitchen. On the other side of the living room, another bedroom with bathroom and laundry room. Considering the important square footage, a third bedroom with bathroom can be easily created. The property includes a fascinating cellar with brick vaulted ceilings and a garage in the courtyard.